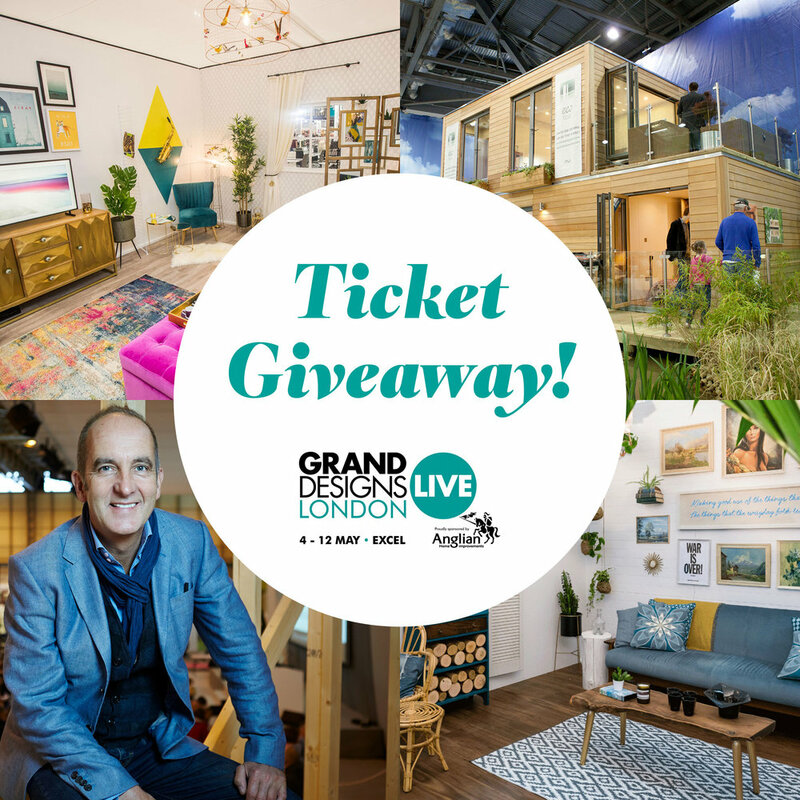 Free Tickets to Grand Designs Live 2019! This year we are offering you free tickets to Grand Designs Live London 2019! Taking place from 4-12 May the show will boast a range of over 500 companies and exciting features. Design guru and TV broadcaster, Kevin McCloud will be leading the event. Whether you are starting out on your first renovation, building a new home, redecorating a room, installing a new kitchen or simply looking for ideas, Grand Designs Live is the must-visit event. Covering Build, Kitchens, Bathrooms, Gardens and Interiors the show offers a great day out with hundreds of innovative ideas for the home, instructive talks and demonstrations. Get access to amazing brands launching new products, compare prices and check out homewares not yet available on the high street. If you’re looking for advice for your own home project, the ever popular Ask an Expert will return to offer FREE 30 minute consultations on topics such as architecture, design and project management. Or if you’re looking for eco ideas, Kevin’s handpicked selection of Green Heroes will showcase the most ground-breaking products for your home. Don’t forget to head over to the live theatre stages to hear from a range of specialists, Grand Designers from the TV show and Kevin McCloud, where they will share their top tips on how to go about your very own home project, however big or small. Simply visit www.granddesignslive.com and enter the code LIV19 on the booking page to claim. Valid on standard admission tickets only. Tickets must be booked in advance before midnight on 11 May 2019. Subject to limited availability, tickets allocated on a first come-first served basis. Weekend tickets incur a transaction fee. *Saving is based on the on the door rate ticket prices. ASOS launches its first homeware collection…and we’re totally sold! Sign up to our newsletter to keep up to date with the latest trends, competitions and receive exclusive content! Please confirm you agree to receive newsletters from LIV for Interiors. DON'T MISS OUT! Opt in to receive communications from other exciting interiors brands.